Hello beauty! Let’s start at the beginning, shall we? Tell us about studying at The School of American Ballet (SAB) in New York City. Was it always a dream of yours? I moved to SAB when I was 13 years old, after having attended their summer intensive program in 2004. In all honesty I hadn’t known about the school prior to auditioning, coming from a small ballet studio in Sarasota, Fl. Needless to say, training at SAB was a dream I didn’t even know I had until it became a fast reality…and I never looked back. My time in those beautiful studios, going to high school in New York City, skipping across the plaza to watch my dream company perform every other night…it was surreal in every sense of the word. Balanchine training is neo-classical, sporty and fast-footed. Having come from a Vaganova background, I relished in the opportunity to grow in this dynamic way. Experiencing this new language of technique was invigorating, aesthetically inspiring and inevitably challenging. I soaked up every minute. After graduating from SAB, you moved to Denmark to dance with the Royal Danish Ballet. What was your first impression of Copenhagen? My very first impression of Copenhagen was that of a European Disney world. The city sparkles. It’s so colorful on the outside, flourished with copper domes and dreamy, historical stories. Scandinavia is known for their simplicity in design; Every apartment is white, streamlined and clutter-free. Simple and beautiful, much like Danish culture itself. Danes also speak perfect English, which certainly eased any culture shock an 18 year old living alone in a foreign country might experience. Wow, sounds incredible. In terms of ballet, did you have to make any adjustments in your technique when you moved to Denmark? I did have to make a huge technique adjustment when I moved to Denmark. I held on to my straight legged turns and general movement aesthetic, but I certainly had to become more sensitive to stylistic changes of Bournonville repertoire. Those straight-legged pirouettes are giving me grief in Allegro these days! But speaking of stylistic changes, you originated the title role in Alexei Ratmansky’s The Golden Cockerel. What was that like? Alexei is one of a kind. Working with him on Golden Cockerel pushed me to my every limit as a dancer and an artist. The story originates in old Russian folklore and the privilege of re-telling it through such an innovative narrative was unlike anything I’ve experienced before. Definitely a career highlight! Did you bring any aspect of Danish culture back with you when you moved to Boston? What was that transition like? When I moved back to America, I promised myself that I would bring as much Danish culture as I could possibly carry back with me. The reverse culture shock was actually extremely entertaining. I vowed to maintain a clutter-free apartment, invested in mid-century furniture and sprinkled tea-light candles everywhere to bring back the “hygge” elements of life Danes are famous for creating. The work load was certainly more intense in Boston, longer rehearsal hours, more performances. I was closer to my family though, and their proximity of support and love certainly helped with the adjustment. I’ve always loved the concept of “hygge”. A cozy life is very important to me! Ha. Do you feel that you have been affected as an artist by the different environments in which you have worked? I have no doubts that my journey as an artist, a dancer, a person have all been affected by the diverse settings I’ve had the privilege of working in. Training in New York City instilled within me a tireless work ethic I maintain today, it ingrained an insatiable curiosity and a contagious energy that I’m proud to share. Beginning my career in Copenhagen provided me with the most humbling, fulfilling platform from which my entire perspective as a dancer, and more importantly a person, grew. My career in Boston Ballet gave me the opportunity to sew my New York roots into a more balanced, Scandinavian approach towards hard work. The styles, cultures, and histories of these ballet companies merged in the most complimentary way for me as a professional dancer, and in the most fulfilling way for me as a person. You are a talented photographer and also write a really lovely blog, Tutus & Tea. How did you become interested in these sort of “extra curricular activities”, and where did you find the time to pursue them while juggling such a busy work schedule? Thank you! My journey creating Tutus&Tea is one I’m forever grateful for. It all started one summer when my sister teased me for “not having a creative hobby (pilates/yoga doesn’t count!)”. At the time she and my father were getting really into SLR cameras and there was one sitting on the counter. I picked it up, began researching, and invested in what would become one of my most favorite hobbies, photography. This was the summer before my first full season with Royal Danish Ballet, and when I returned to Copenhagen, my camera came with me. Tutus&Tea came to me one sleepless night when I was contemplating the whole “blog trend.” What started as a creative outlet for me to chronicle my days of dancing, eating, traveling abroad turned into an enthusiastic pursuit of passions of stage that in turn, fueled my artistic perspectives on dance in exciting new ways. As for time, there never seems to be enough of it right? I guess we all make time for things that bring us joy, and for me, Tutus&Tea was surely one of those things. That is so true. So let’s talk about what life looks like right now. You recently retired from ballet and moved to New York City to attend Columbia University. What provoked this change and how did you know the timing was right? So timing is one of these funny things to honestly reflect on. I’ve come to believe that we’ll never really know if timing is ever right. When I considered the idea of “transitioning,” I actually wrote down my thought trains in a rather lengthy post on my blog that ended up being more of a letter to myself. Professional careers in dance are finite. They are precious, yet sacrificial. They are glamorous, yet exhausting. I told myself I would make Ballet a career as long as I felt fulfilled, as long as I truly enjoyed it. Otherwise it’s just too hard. Columbia University has a unique undergrad program that was created for “non-traditional” students who have been separated from their education for some interesting reason. Think military veterans, professional athletes, parents, and a whole lot of dancers…Writing my application essay alone was an opportunity to converse with myself honestly- to reflect on my career and what it has brought me, to question my present career commitment, and to entertain ideas of change. It was cathartic and it was necessary. How is it going so far? Here you can just tell us a bit about what life is like lately, what you’re majoring in, any interested courses you’re enjoying or struggling with, etc. It’s a whirlwind! I am currently enrolled full time, entertaining the idea of a major in Cultural Anthropology and potentially Journalism. I’m taking four classes, my favorite of which is Philosophy of Art where we are mostly learning how to question questions…so compelling! I’m struggling with the insane amounts of reading, and the challenge of prioritizing copious amounts of homework over enticing invitations that living in this city presents. I am LOVING being intellectually challenged and inspired on a daily basis. I am loving the change so far, and giving back to my body and mind in ways that I haven’t been able to for the last 16 years of my life focused primarily on dance. That’s wonderful! I’m so happy for you. What advice do you have for dancers who are interested in pursuing other interests outside the studio? I would strongly suggest that all dancers should find and pursue passions outside of the studio. 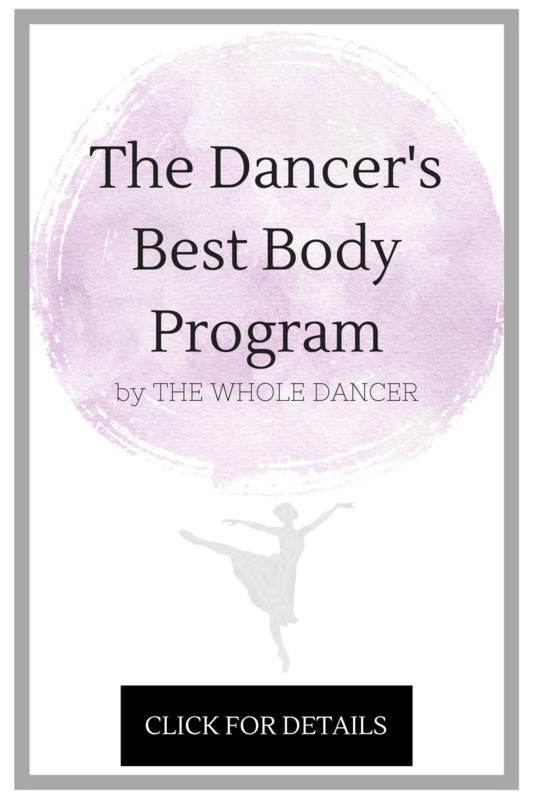 Not only will this provide healthy perspective and space away from your days on stage, it will sculpt your perspective and approach towards your dancing that absolutely benefit your dancing! Find something that inspires or interests you beyond dance and take the time to indulge it. Pursue friendships and relationships outside of the theater and relish opportunities to balance your life outside of the ballet world. Go-to breakfast? Gooooood coffee with cream, always. If there’s not a worthy blueberry muffin nearby, I do love a greek yogurt, granola, banana, honey situation. Career highlight? I think I have too many career highlights to choose just one (insert monkey hidden face emoji) but on the top of my mind might be my first performance as Blue Girl in Dances at a Gathering, my premiere of Flemming Flindt’s The Lesson, Flower Festival in Genzano for Erik Bruhn, and Serenade for the Night of Stars in Boston…. Favorite Danish meal/food? Mmmm….. I have to go with desserts. Aebleskiver and Gløgg during Christmas time are the best. They’re a type of pancake “holes” filled with warm, lemon zest flavored pancake filling that you role in powdered sugar and jam, accompanied by strong, mulled wine. It’s a magical combination. Today I am so excited to share some thoughts from the bright ball of sunshine that is Miss Shelby Elsbree. In perfect sync with Tchaikovsky’s return to the studios and the migration of cloves towards the front of my spice rack, the ever charming Boston Ballet dancer muses on spreading joy- both to yourself and to others- throughout the holiday season. There are so many opportunities to seek it throughout our long days…shorter now with a shy winter sun. In the dance world, most of us are preparing to dive head first into our annual Nutcracker marathons, a sugar-coated race to New Years Eve during which Tchaikovsky melodies float endlessly in and out of our minds and bodies. The thing that I hold onto each December, the thing that re-energizes my soul and ignites my daily motivation is that solitary concept of spreading joy. The holiday season is so much about generosity.. giving of your time, your resources, your gifts, your love…all in the name of sharing happiness. This is what each performance of the yuletide classic gives us the opportunity to do. The thing about happiness is that it remains a choice we have to make – the old adage we’ve heard many a time could not ring truer this time of year, when summer sun is long gone and chilly days stake their claim. We can decide to harness positive energy, to share/spread light wherever our days might take us, to fixate on the good things (which inevitably sheds a healthier light on the not so good things). We can find moments in our day, or cadences in our conversation that not only strengthen our own perspective, but that inspire the motives of those we speak to as well…this forms a generous cycle of perpetuated happiness! This past season I’ve been contemplating the idea of meditation. The thought of finding silent moments to receive stillness, to allow thoughts to flow freely in and out of my conscious, to sink into the present, to find happiness…To be honest, I’ve never been one to indulge this discipline successfully — until that is, I realized my meditation comes in a different form than a cross-legged posture. Nearly every morning, dancers all over the world start their day with a class. A gentle barre to warm up the bones, to encourage the body, followed by a more liberating center. This, I realized, is how and when I set the pace of my day. Be it a more successful start (physically/mentally), or a day I feel faced with challenges, I strive to see the light in my steps, my words, my thoughts…Not every day is going to be perfect needless to say, but it will offer the choice to seek and share the one thing we all hope to find at the start, middle and end of each day, each week, month, year, season…a daily decision, a hopeful, contagious, incandescent choice to be happy. 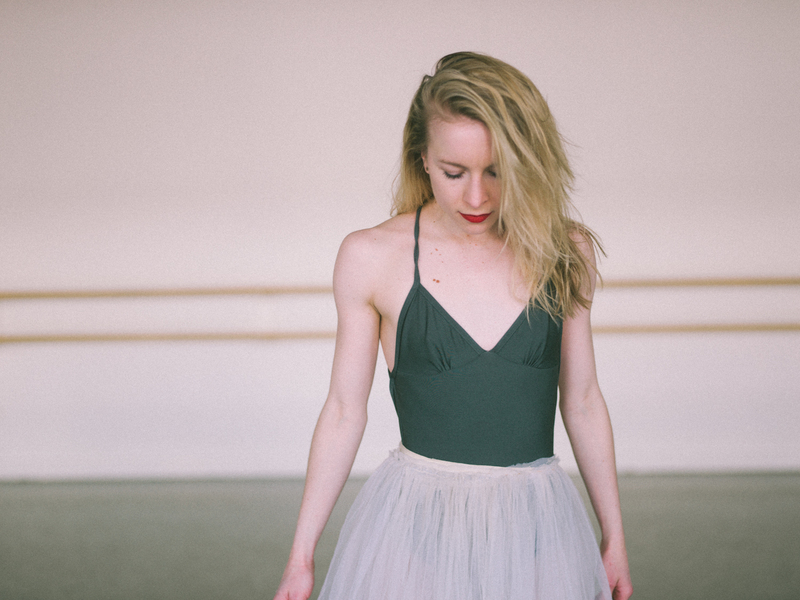 For more from Shelby, check out peeks of her life as a ballet dancer/experimental chef/budding photographer on her inspiring blog, Tutus & Tea. Thank you Shelby!